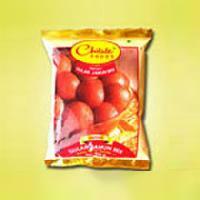 Features : Delicious in taste, Fresh crunchy etc. 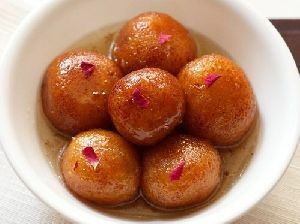 Description: An Indian sweet preparation traditionally made out of evaporated milk blended with wheat flour, fried & soaked in sugar syrup. 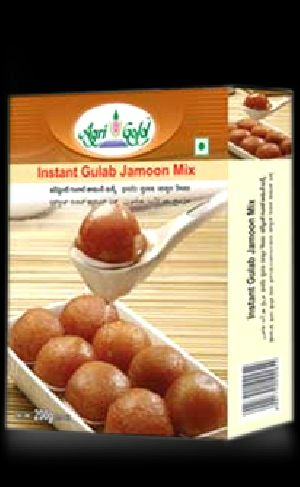 We are offering Mishti Instant Gulab Jamun Mix. 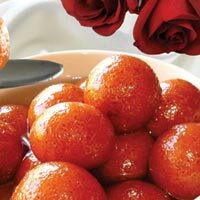 A Rich Indian Sweet Traditionally made from Whole Milk power , Stuffed with assorted nuts, friend and soaked suger syrup. 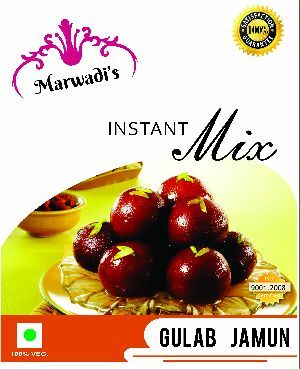 An instant mix that helps you make lip smacking gulab jamuns in just five easy steps and that too without compromising on the taste. 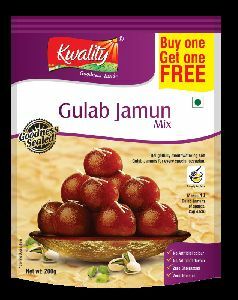 Our Gulab Jamun mix is all natural and is made without adding artificial flavours and colors. We bet you won’t be able to stop at just one. We are working with a group of quality examiners who conduct several tests on the offered lot for confirming its compliance with the quality standards. 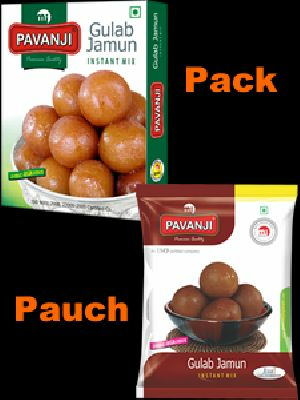 Buyers across Tamil Nadu(India) and other markets can contact us for purchasing our product all year round. 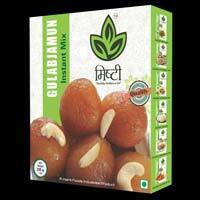 The Instant Gulab Jamun Mix is delivered in the safest of packaging at the market leading prices. 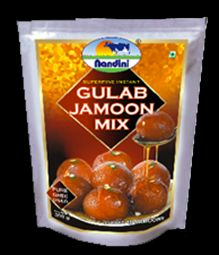 We are a well-known name as Instant Gulab Jamun Mix Manufacturer. 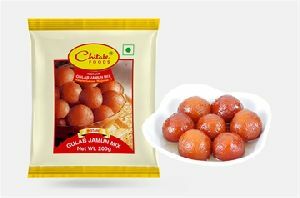 Gulab Jamun is a milk based Dessert. 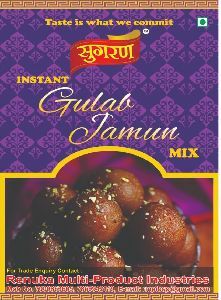 Using our Instant Gulab Jamun Mix, you can prepare soft, fluffy and mouthwatering Gulab Jamun without taking much time. It is an ideal choice for beginners and working people as using it is hassle free and consumes less time. We pride ourselves in retaining a 100% natural ingredient base in each of our instant mixes. 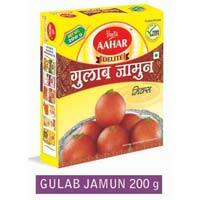 To bring you that authentic taste with an uncompromising emphasis on complete purity. Staying true to the Chitale policy of cent-percent authenticity in quality and hygiene, we solemnly assure you genuine instant mixes. So you know it’s unadulterated bliss when you taste it! Everyone's favorite dessert can now be made anytime! 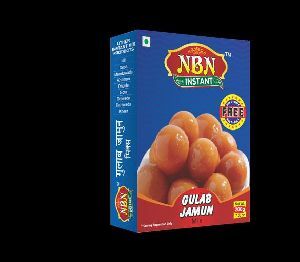 Treat your family to perfect, delicious Gulab Jamuns that melt in your mouth. 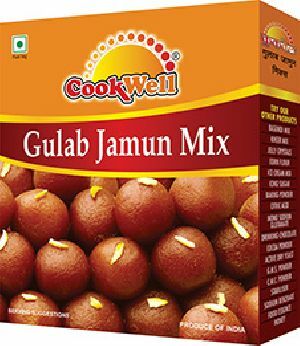 Celebrate every occasion with COOKWELL Gulab Jamun Instant mix! 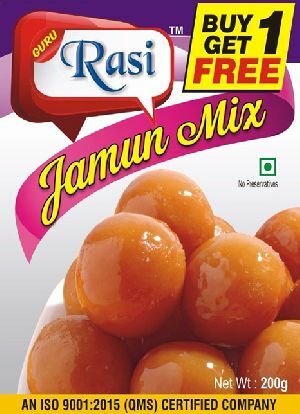 Direction For Use To one measure of natural jamun mix add ¼ measure of water, mix gently and make into dough. Do not need dough strongly. Keep aside for 5 minutes. 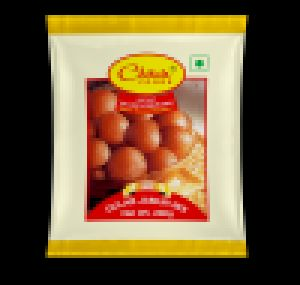 Make dough into small round shape and put into pan containing hot edible oil or ghee, now fry slowly with continous stirring over low flame for 10 minutes till golden brown colour. 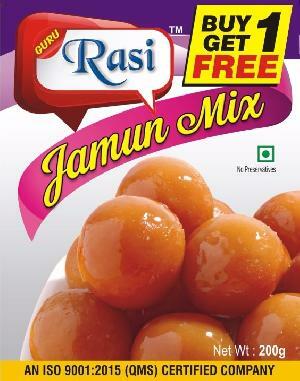 Soak these jamun in hot sugar syrup till they absorb the syrup fully. 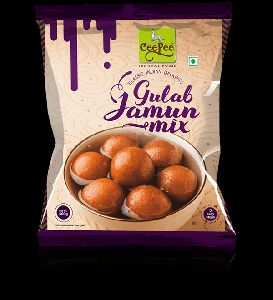 Offers gulab jamun mix ( available in: 200g only). For the convenience of our clients, we have formed payment terms and conditions that are as per the law and simple. The methods we use are practical, convenient and diverse. We are working in close coordination with the team members and management; they make every endeavor to keep the products piled up safely in our capacious warehouse. By this, we make deliveries in the committed time span. 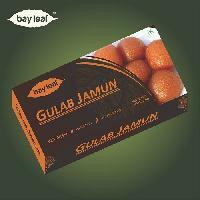 Subhash Masale is specialized in offering a wide range of quality gulab jamun mix in India. 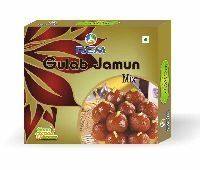 we are offering Gulabjamun Mix. 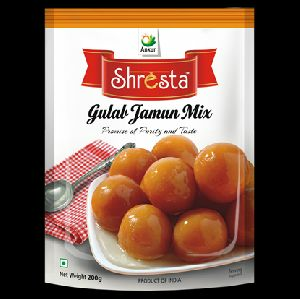 Instant Mix to make sweets. Shelf life and Conservation : Best before 6 months from packing. 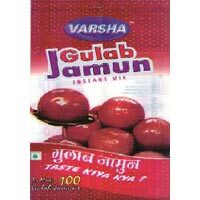 Vannia Food Exports India Private.. 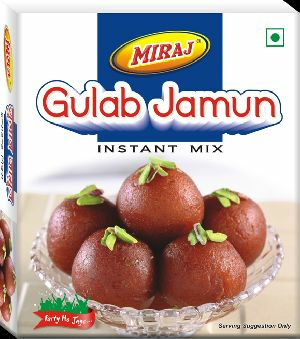 Melt everyone’s heart with soft and delicious gulab jamoons made using instant gulab jamoon mix. Serve immersed in rose flavoured syrup to make it extra yummy. 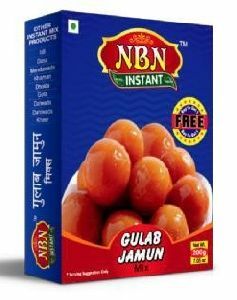 Available in 200 g pouches ( to make 40 jamoons). 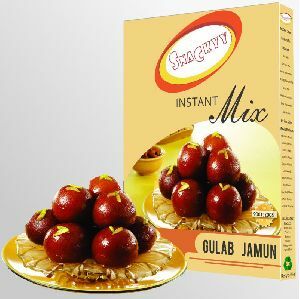 We are offering instant gulab jaamun mix. 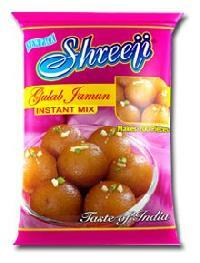 We offer gulab mix. 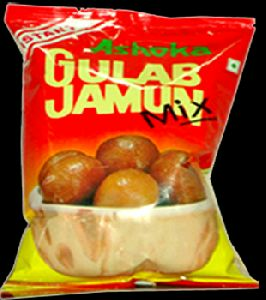 Gulab mix have gulab taste .